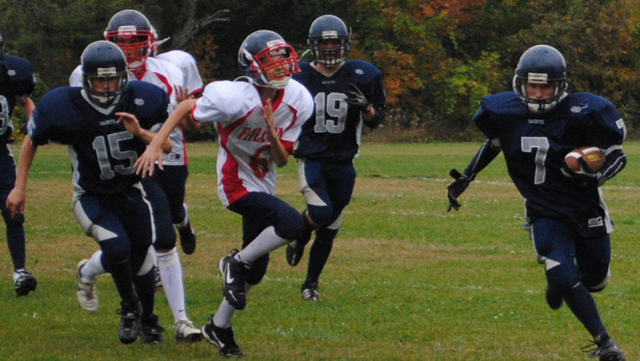 Quinte Pediatrics and Adolescent Medicine is proud to be one of the founding sponsors of the inaugural Saints Fall Classic charity football game at Quinte Secondary School. As specialists in child and youth medicine it is our aim to ensure that kids of all ages are able to enjoy the activities that they enjoy in a way that is safe and informed. Our main message for student athletes is simple: know your symptoms and respect your injury. When it comes to health and safety in high school sports, concussions tend to be a hot topic of discussion. In reality, concussions actually only make up 2% of the PE-related (physical education) injuries (2009 American Academy of Pediatrics). Sprains and strains make up 40% of PE-related injuries, with soft tissue injuries and fractures accounting for 19% each. As low as the incidence of concussions may be, the injury itself can still have some potentially devastating consequences. 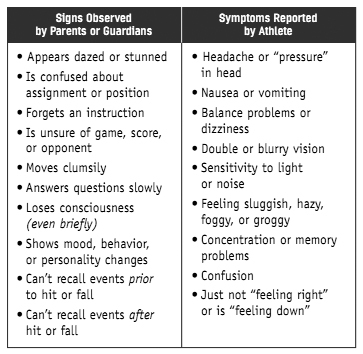 For that reason it is important to make sure that student athletes, coaches, and parents understand what concussions are, know how to prevent them, and know what to do when such an injury is suspected. Can change the way your brain functions. Can occur in practices as well as games of any sport or recreational activity. Can happen even if you don’t get knocked out and can be serious even if you were just “dinged”. Can affect your ability to do schoolwork or other activities. A concussion should always be taken seriously. While most people with a concussion will heal, it is important to give your brain time to recover from the injury. Don’t get back in the game: Your brain needs time to heal after a concussion. Resuming play before you’re ready can just make the situation worse. Get a medical check-up: See a doctor and tell him or her about your symptoms. A doctor will be able to asses the situation and tell you when it’s safe to play again. Use proper equipment: Each sport requires different equipment. Use what is regulated for your particular sport, make sure it fits, and keep it well maintained. Take care of your body: Warming up before any recreational activity can help reduce the incident of strain on muscles and tissue. Giving yourself adequate time to rest and recover will also help to prevent reoccurring injuries related to overuse (think knee pain, tennis elbow, shin splints, swimmer’s shoulder, etc.) or re-injury (common when your body hasn’t been given enough time to heal properly). Follow the rules: Each sport has rules for a reason. Following them will help keep you, your teammates, and your opponents safe. When your coach has rules safety, follow them. Check out our Sport Medicine Clinic!